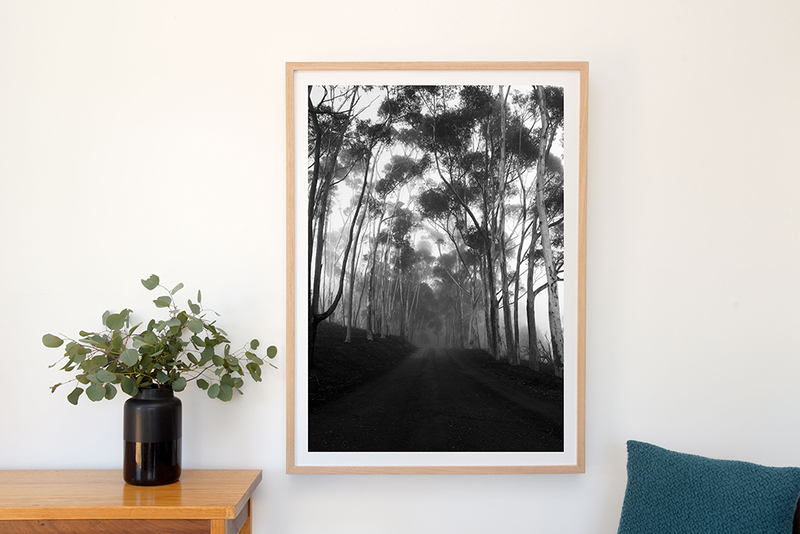 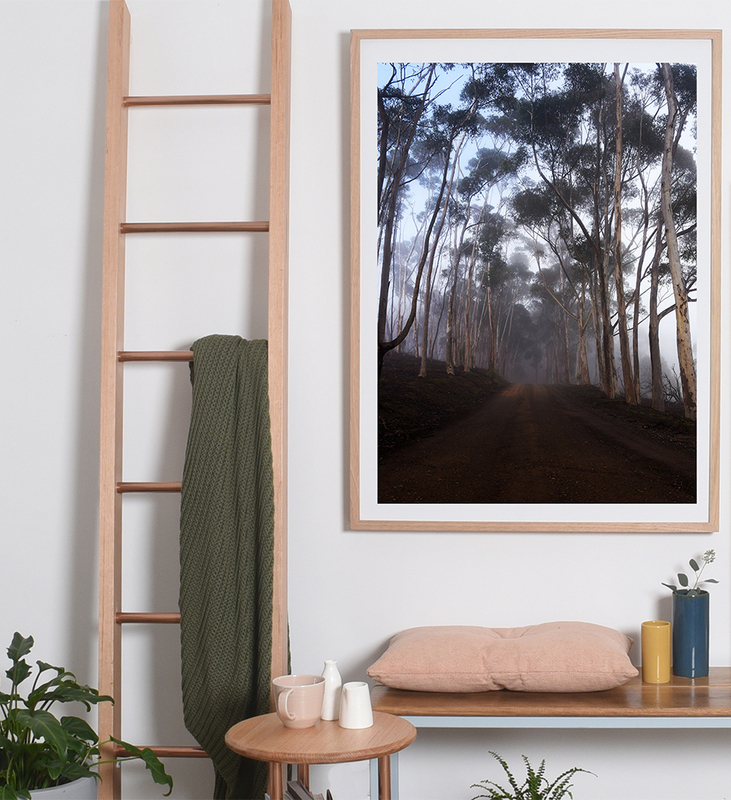 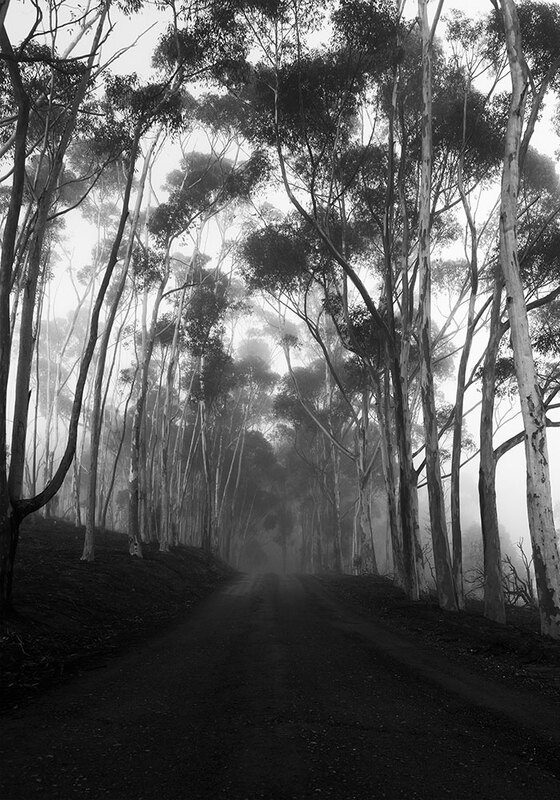 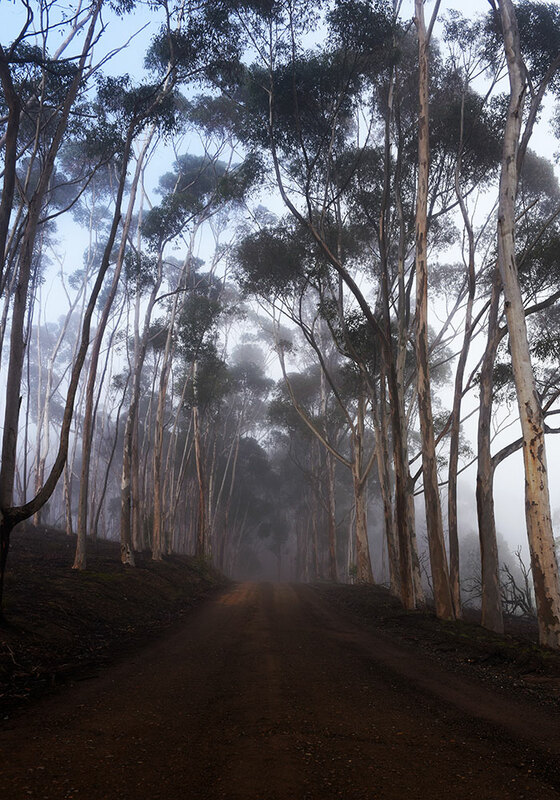 The guardians of the dusty road home are the towering eucalypts.. 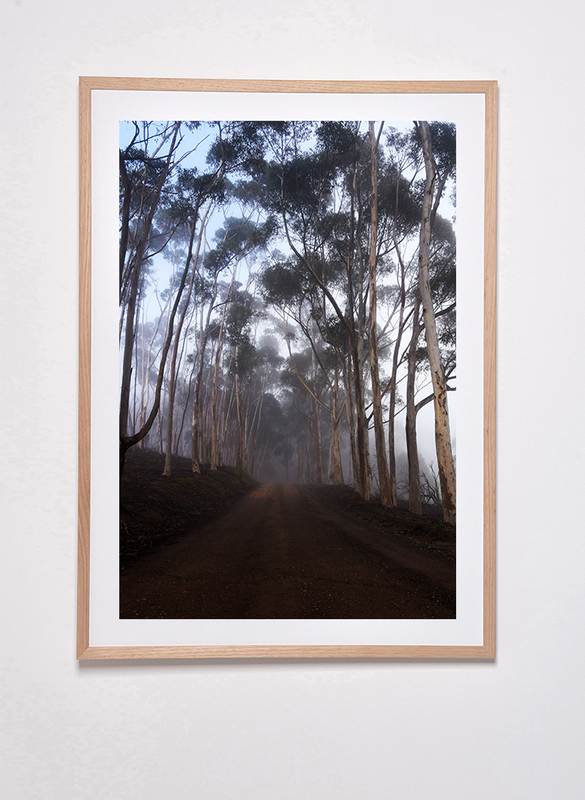 This photograph captures the stillness of the early morning fog detailing broken colour vignettes. 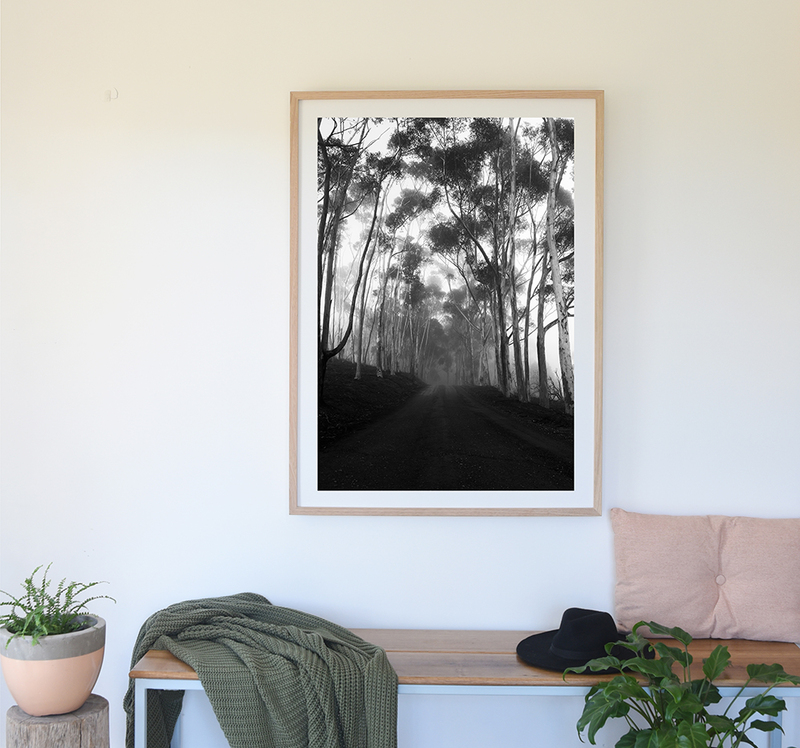 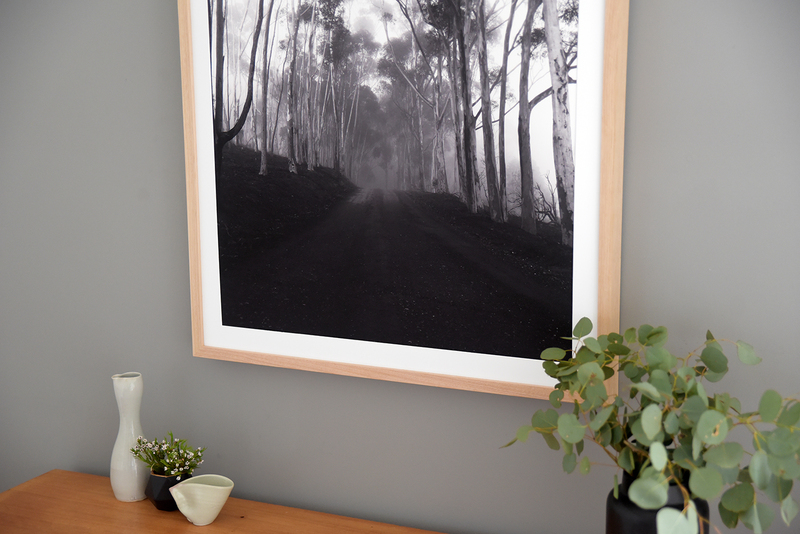 This artwork is beautifully framed in Tasmanian Oak and acrylic glass. 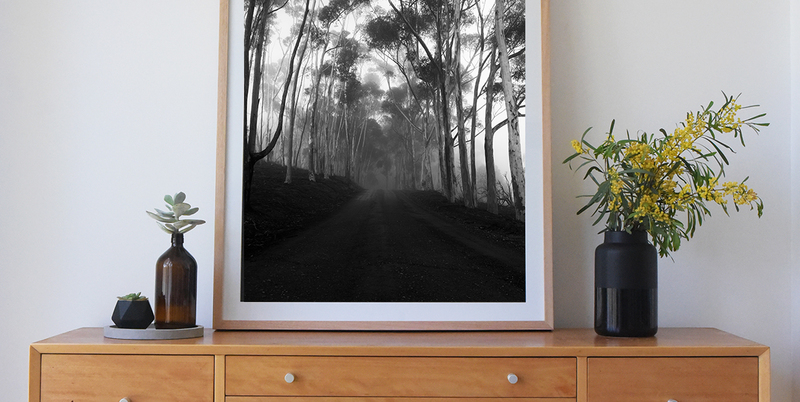 The perfect gift or just because I have to have it size. 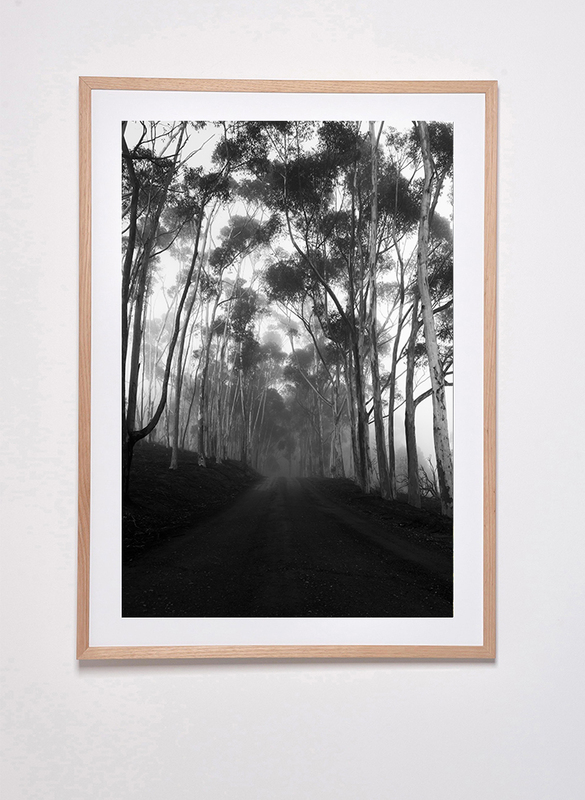 Please allow 10 working days for your order to arrive and 14 - 21 days for framed artworks.